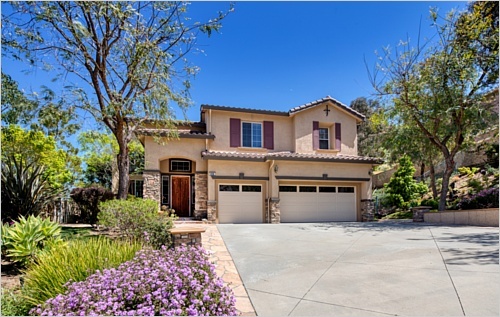 This Dos Vientos home is located on a small cul de sac street surrounded by nature. This upgraded home has an open & spacious floorplan filled with natural light from an abundance of windows. 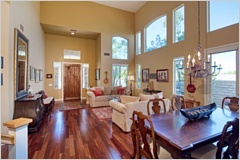 The formal living & dining room have Cathedral ceilings & French doors that open to the spacious side yard. 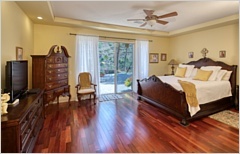 First floor master bedroom with sliding doors to the serene backyard with nature views. dual sinks, spa tub & separate oversized shower complete the master bath. Upstairs has three bedrooms with walk in closets plus extra-large bonus room that could be another bedroom or living/ play room. Large attic space upstairs for more storage. 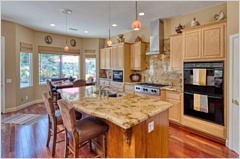 An elegant & well designed kitchen has a large island with sink, seating with barstools, marble counters & backsplash, custom cabinets, & top of the line stainless steel appliances including 6 burner stove. Kitchen opens to the family room with cozy fireplace. 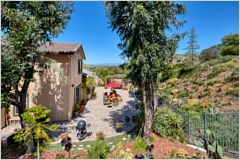 Outside the landscaped & well designed backyard has a BBQ area, sink, fireplace, & refrigerator. Plenty of room to roam & entertain! 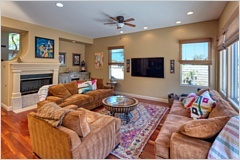 Bring the outdoors in to enjoy the So Cal lifestyle. Surrounded by natural open space. Upgrades including ¾ inch hardwood flooring, plush carpeting upstairs, new HVAC, & water heater. 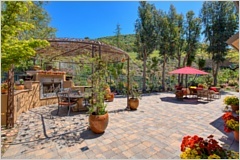 Located to award winning schools, community park, hiking trails, horse trails & stables & easy drive to Malibu. A true must see property!